A collection of songs that celebrate the American spirit, preserved here for younger generations to learn and cherish, as did their grandparents, veterans, and preceding generations. Many of us have fond memories of singing these songs freely-- in school, community gatherings, parades, ball games. Some children never learned them, so we offer the lyrics, many with accompanying music video, as a tribute to the country's history. 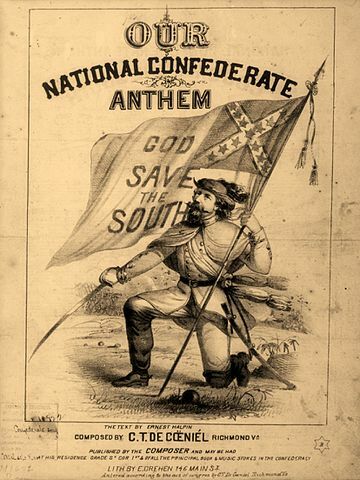 Jump right to Confederate and Union Civil War Songs. "I'm a Yankee Doodle Dandy, a Yankee Doodle, do or die; a real live nephew of my Uncle Sam, born on the Fourth of July." "O beautiful for spacious skies, for amber waves of grain, for purple mountains majesties above the fruited plain! America! America! God shed His grace on thee, and crown they good with brotherhood from sea to shining sea!" "You're a grand old flag, you're a high-flying flag, and forever in peace may you wave. You're the emblem of the land I love, the home of the free and the brave." "Over there, over there, send the word, send the word over there that the Yanks are coming, the Yanks are coming." 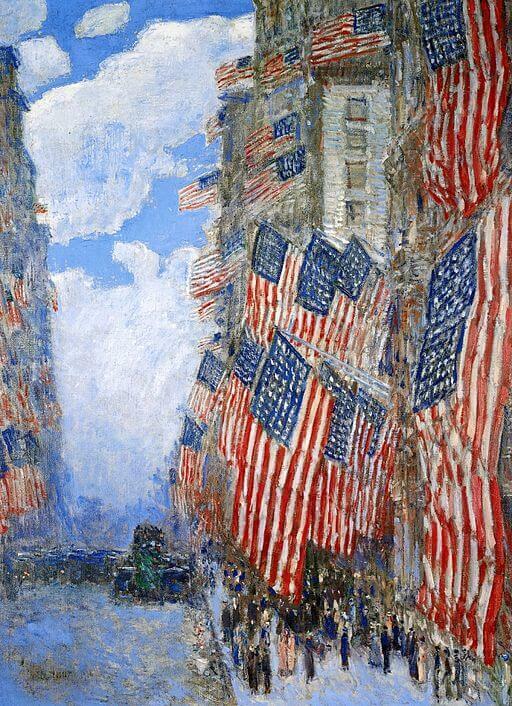 "God bless America, land that I love, stand beside her and guide her, through the night with a light from above." "My country, 'tis of thee, sweet land of liberty, of thee I sing; land where my fathers died, land of the pilgrims' pride, from ev'ry mountainside, let freedom ring!" 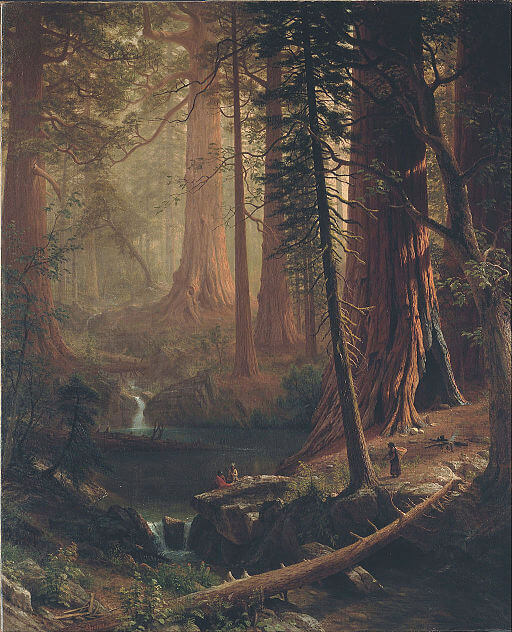 "This land is your land, this land is my land, from California to the New York Island, from the Redwood Forest to the Gulf Stream waters, this land is made for you and me." 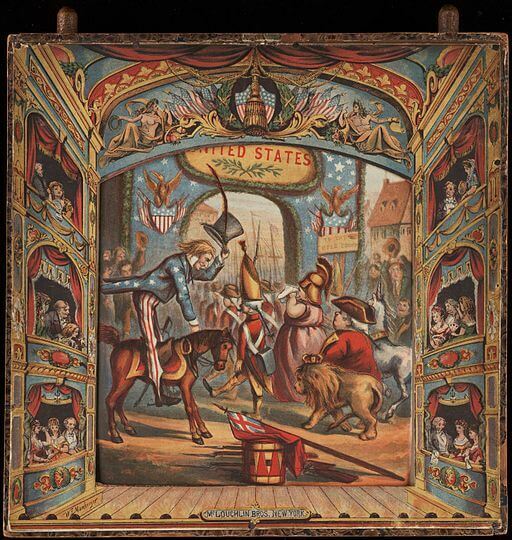 The national march of the United States, enjoy the lyrics and 1929 recording of Sousa conducting the U.S. Marine Corps. Band. "Oh! say can you see, by the dawn's early light, what so proudly we hailed at the twilight's last gleaming." "Our fathers fought for Liberty, They struggled long and well, History of their deeds can tell,-- But did they leave us free?" 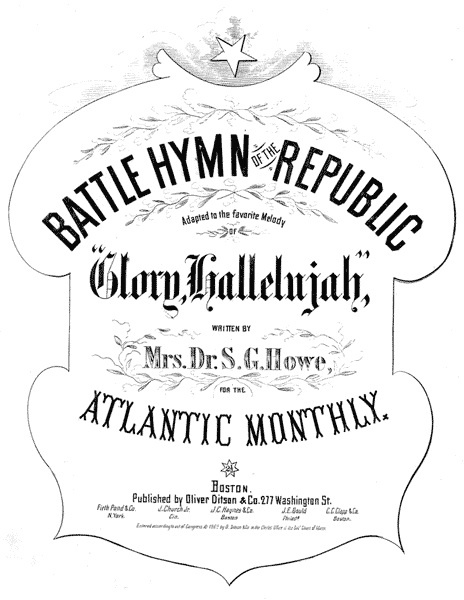 What became the anthem of the Union during the American Civil War: "Mine eyes have seen the glory of the coming of the Lord; he is trampling out the vintage where the graphes of wrath are stored; he hath loosed the fateful lightning of His terrible swift sword: His truth is marching on. Glory, glory hallelujah!" What became the Confederate's unofficial anthem, apparently Lincoln loved it: "Oh, I wish I was in the land of cotton, old times there are not forgotten. Look away, look away, look away Dixie Land!" "The Union forever! Hurrah, boys, hurrah! Down with the traitors, up with the stars; while we rally round the flag, boys, we rally once again, shouting the battle cry of freedom!" A popular African-American song sung during the War by fleeing slaves on their way to Union Army camps. "God save the South, God save the South, her altars and firesides, God save the South! Now that the war is nigh, now that we arm to die, Chanting our battle cry, 'Freedom or death!'" This popular Irish folk song was adapted with new lyrics during the Civil War, also sung by American soldiers during World War I. 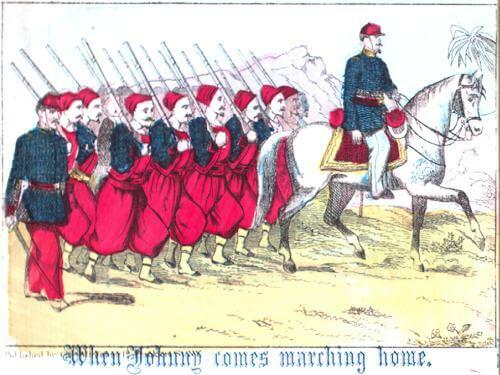 Embraced by both the Union and the Confederate armies during the War: "When Johnny comes marching home again, hurrah! hurrah! We'll give him a hearty welcome then, hurrah! hurrah!" 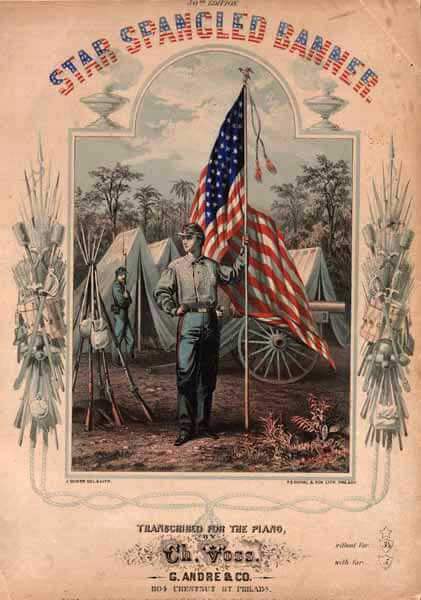 First played at a burial ceremony for a fallen Civil War soldier in 1862, the revered bugle tune and lyrics continue to serve as a respectful tribute to all soldiers who have fallen. Visit Poetry for Students, American History, and Civil War Stories & Poems for other important works of American Literature.